REIKI STARLIGHT CD. BY LLEWELLYN. Reiki Healing energy is not restricted by distance or time. It can be guided to any part of the Universe. 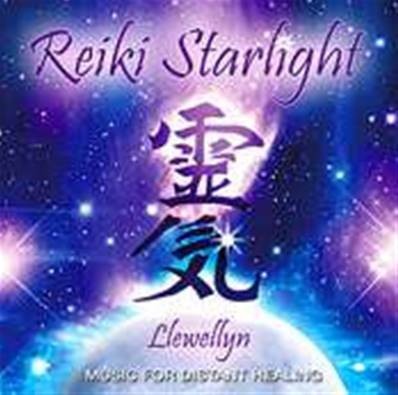 Popular Reiki composer Llewellyn (Reiki Gold) has composed music to help enhance Reiki distant healing. Starlight not only create the perfect calming environment for healing but essentially support the visualization process of sending out universal energy to heal the intended person, animal or situation like a bridge between Time and Space. This special music album is divided into two 25 minute timed sections and can be used by individuals or collectively by many Reiki healers working together focusing on the same recipient. It can also be used for Reiki treatments.